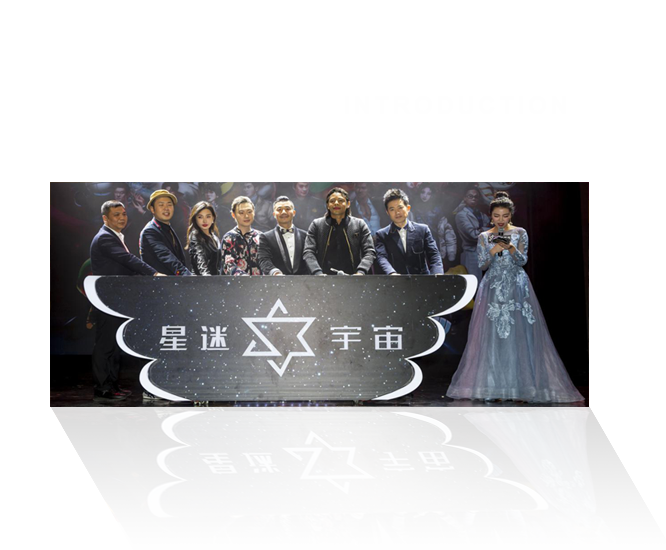 Beijing Sharetimes established in 2011 has many A-listers partners such as Ren Quan, Liu Tao, Chen He, Du Haitao Lin Gengxin and so on. The main business covers IP license, game publication, development of film and television products, development of game series and derivatives, the investment of industry chains, etc. With the combination of “pan-entertainment” and “fan economy”, Sharetimes innovates the business model unceasingly and it is the first to propose the strategic concept of virtual star image operators. Based on the business flow and big data of fans, the company creates the virtual image of IP with hundreds of famous stars and makes it as well-known classic contents and a range of cultural products including games, movies, animations, derivatives and so on. In short, Sharetimes creates standardized cartoon images for the stars and designs all kinds of digital entertainment products for these virtual cartoon images. Through years of the accumulation of the operational advantage of digital content, Sharetimes possesses six platforms. They are self-owned community, star APP, battle, advertising, Software market and data traffic. Sharetimes has released a number of well-known mobile game products at home and abroad and it is a light mobile game publisher which has the largest number of quality products at home. The total number of the mobile game users is more than 500 million. The company has released hundreds of classical mobile games such as Find Object, The House of the Dead, Ski Safari, Cut the Rope, etc. With the mission of “share diligently”, Sharetimes lives for its virtual world dreams and is committed to being the world’s leading DreamWorks of digital content. 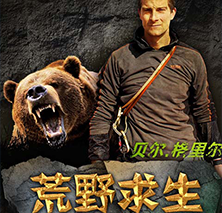 The Parkour game, Man VS Wild is genuine, licensed by Bear. It combines traditional and many new playing ways of Parkour. Players can fly in the air and swim in the water. They can also parkour and experience all kinds of other playing ways at the same time. It would be so interesting! You can appreciate lots of different scenes and collect coins to upgrade your equipments. Come on! Let’s take adventures with Bear, who is at the top of the food chain! 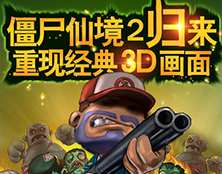 Zombie Wonderland 2, is a mobile shooting game about zombie. In this game you need to protect the employer’s shop, eliminate zombies from all directions and also clean the shop for the employer, so that the blood of zombies would not remain in the shop. This game combines many elements such as defense, survival, time management and so on. In this game, you and the zombie scavenger, Chuck, will fight with zombies to defend the homeland in various places such as the town of America, vampire lair, Viking ships, Egypt, Japan, etc. The game producer, Chen He, created a new era of role-playing mobile games by himself! Still keep fighting against the monster and collecting the cards? Don’t fall behind! 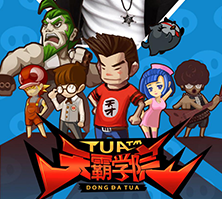 Role-playing mobile games---Tianba College, with its super magical plot, will definitely overthrow your senses. Fully evolved round-battle system! Unbridled superpower last-shot! Dazzling effect! Various contents! Everything has gone crazy! Diversified cuties can galvanize your endless love. Rich skills and a real sense of shock can bring you a refreshing experience and a strong visual impact. Come and experience the overlapping of dreams and reality together! Come and expose the naked truth behind the crisis together! Come and fight with genius! Route Z, a game that combines car racing and combat. It tells a story that you, the only survivor, slash a free route in this zombie world. 3D computer games make the sense looks more realistic and also bloody. The whole design of the game system is reasonable. And the content is very rich, this game plays so easily. You will find auto fuel and kill as many zombies as you can. Keeping yourself alive is your only destiny. This game has a lot of cool weapons and cars. So it has high playability and is the first choice from seek novelty to player. Verticus, a new adventure game, is so exciting and fascinating. The game is designed by Stan Lee, the creator of superheroes such as iron man and spider-man. So here we can still be superheroes and we will have cool battle armors which are high-tech and heat resistant. This is a purely cartoonish game. The only task is to prevent the earth from being destroyed by the evil alien named Annihilator. Most of the traditional superhero works mainly based on Action Games. But this one is a purely free-falling game. 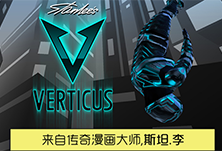 The protagonist wears a high-tech coat and uses jumping skills to dodge obstacles along the way and attack enemies. Furthermore, collecting items can also strengthen the protagonist’s coat. Chen He is an A-list entertainer, famous actor, singer and host in China. He has more than 40 million fans and his representative works are IPartment, Love Is Back, Love on the Cloud, Three Dads, etc. In 2014, Chen took part in the “top-rated” reality show Running Man in china. Chen’s playing in the romantic comedy Ipartment Season 4 was braked the record after its network premiere. The box office of his movie Love on the Cloud broke through 200 million after showing around the country. His representative works are Young Detective Dee: Rise of the Sea Dragon, My Old Classmate, Sward Master, God of War and Scarlet Heart, etc. Lin’s costume dramas are more and more popular and he has more than 35million fans. Lin rose to prominence in 2013, starring in Tsui Hark’s Young Detective Dee: Rise of the Sea Dragon. He earned a nomination for Best New Actor at the 33rd Hong Kong Film Awards. In 2014, his film My Old Classmate made 460 million at the box office. In October, his film black & White: The Dawn of Justice has grossed more than 200 million Yuan. Then in December, he reunited with Tsui Hark in the period action film The Taking of Tiger Mountain which made 894 million at the box office. Du Haitao, also known as Hito Du, is an actor and host of HNTV. Du has more than 35 million fans. His representative works are Battle upon Chef, For Love and Bring Happiness Home, etc. In 2005, he participated in Talent Show and won the championship. He has been a host of Happy Camp of HNTV since 2006. In 2009, Du published a book named “Tumurijin” with Wu Xin. In 2014, he took part in the reality show “The Fire is the Ambition” which is about the stars’ s experience of firefighting. Liu Tao is a Chinese actress and singer. She has more than 40 million fans. Liu’s performance as A’zhu in Demi-Gods and Semi-Devils made her a household name in 2003. Because of her performing in To Elderly with Love, Lui garnered the Best Actress award at the China TV Golden Eagle Award and the Best Performing Arts Award at the China Golden Eagle TV Arts Festival. She won the Most Popular Actress Award in the1th annual Chinese TV series Quality Festival for her playing in Nirvana in Fire. In the same year, she co-starred in The Legend of Mi Yue and won the Best Supporting Actress award at the Shanghai Television Festival and the Most Popular Actress at the 11th China Golden Eagle TV Arts Festival. Sun Jihai is one of the most successful Chinese players. He started his football career with Dalian Shide in 1995. Then he signed for Crystal Palace in August 1998. Sun has been selected for China’s national team for many times. And he is the representative of the Chinese national team at 2002 World Cup. Sun played at Manchester City from 2002 to 2008 and he played 130 games on behalf of Manchester City. In 2015, he was included into English Football Hall of Fame. After returning home in 2009, Sun worked in Guizhou for many years. And he won the FA Cup in 2013. On 10 December 2016, Sun announced his retirement from football.